Are You Aware Of Critical Incident Stress Management? Critical Incident Stress Management Introduction. Critical Incident Stress Management Training. Critical Incident Stress Management Certification. Critical Incident Stress Management Group Crisis Intervention. Critical Incident Stress Management Jobs. Critical Incident Stress debriefing Management Tool. Did you like the topic of today's blog post? I know the title of the topic may seem to be boring but the topic is very important from both knowledge and information point of view. The sole purpose of writing this article is to create awareness. Critical incident stress management aka "CISM" is not a psychotherapy but a confidential, voluntary, and educative process. It is an intervention protocol purposefully developed to deal with the traumatic event. The main aim of CISM is to provide support for those who have experienced traumatic events like a car accident, suddenly losing a close one, extreme home violence in personal relation etc. CISM tries to respond to all the phases of the crisis situation. The best part about CISM is that its implementation is scalable. It can be applied to individual as well as groups. By minimizing the intensity of the critical event. Initiating and speeding up the natural healing process. Restoring the adaptive functional skills. CISM is a bundle of components which can be used before, during, or after a crisis. These components play a crucial role in the overall performance of CISM. Let's discuss these components one-by-one to have a fair idea of CISM. Pre-Crisis Preparation: It is the foundation for CISM services and emphasizes on incident awareness, strategy to deal with the crisis response, developing stress management coping skills that can neutralize the impact of critical events and also minimizes the psychological damage caused. Mostly the preparation is done by providing seminars, e-books, handbooks, and workshops. For the time being you imagine you are a nurse and you are taking care of 5 patients suffering from cancer. Suddenly 3 of them dies, what will be your mental state? How will you cope with psychological stress? But at the same time, you are a nurse and these kinda of events are part of your profession. In this kind of scenario, CISM comes into play. It prepares you to deal with future critical incidents. Community Support program: The purpose of this program is to support an individual, organization or community in overcoming the aftermath of the incident. There can be an instance when you aren't able to cope up with stress even though you had pre-sessions to deal with the critical incidents. In that case, a one-to-one support, follow-up support or even small group support can do wonders. Critical Incident Stress Debriefing outline. Critical Incident Stress Debriefing effectiveness. Critical Incident Stress Debriefing training. Critical Incident Stress Debriefing outline: The purpose of debriefing is to provide a format in which the personnel and survivors of the critical incident can discuss their feelings, reactions, and other related physical and psychological issues. The main purpose of the debriefing group is to assist in mitigating the long-term emotional trauma. It is a well-planned and organized approach to support the emergency personnel and the survivors of the critical incident who were under extreme pressure during the event. Here, I would be explaining the entire phenomenon with an example of an earthquake. For time being, imagine that there was a massive earthquake in California. The earthquake took the lives of thousands of people including the emergency personnel who were trying to save people. So, it was a huge loss and thus after the incident, the survivors need the support to come out of this extreme situation. If these survivors are not taken care of in a well-planned and organized way then there is a huge change that they can be a victim of Post Traumatic Stress Disorder(PSTD). We will be discussing the model developed by the American Red Cross to debrief the disaster management personnel and the survivors. This model will help to understand the entire process of debriefing and the reason it's called the backbone of critical incident stress management. The model consists of different phases and I will be discussing all the phases one-by-one. Introduction: As the name suggests, in this phase the team members introduce themselves and describe the process step-by-step. They also encourage the victims to actively involve in the process. Fact Phase: The purpose of this phase is to regenerate the critical event to understand each other well. By talking about who was were during the critical event and what they smell, saw and so on... helps each of the survivors to correlate with the counterpart. Feeling Phase: Again this is a painful phase where the survivors and the personnel discusses the feelings and what are they up to. How did you felt when it happened? Have you faced a similar situation before? Answer these questions help the CISD members to understand the psychological condition of the individual. Reaction Phase: A very crucial phase of the entire process. The motive of this phase is to analyze the short-term and long-term impact of the critical event on an individual. For Example, trigger question can be like, "what is the worst thing about this event for you personally?" Symptom Phase: Though all the survivors would have definitely gone through the same set of conditions when surviving a critical incident BUT unfortunately the impact of the incident will NOT be the same. Every individual is different and the impact will definitely be different. It may the case that all the survivors wouldn't have gone through the same trauma. For example, a six-year child losing his mother is fairly different from a 30-year-old guy losing his father. Can you guess, what really happens in this phase? In this phase, the survivors are encouraged to share the symptoms like physical symptoms of stress etc. It has been found that in some of the cases, people are scared of there own physical and psychological reaction. Many of the earthquake survivors have reported in the past that they suddenly start getting a severe headache- may be a migraine. In some other case, people were scared to get into the bathtub as they have a fear that they will become naked in case the earthquake strikes back. In fact, there are numerous examples and each one of them is in some or other senses connected to the stress. Psychological stress can make your brain react in an abnormal way. It's always important to find out the triggers of stress. In many cases, a critical event even leads to PTSD. It is very important to let the survivor aware of the fact that these are normal symptoms and a majority of the victims of a critical event will be experiencing it. In the real sense, there is a big problem if these symptoms don't vanish over time. Time is a great healer and trust me it does the work perfectly. 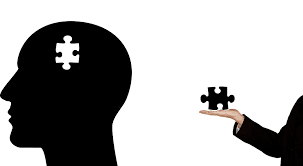 Teaching Phase: I will say it as a psychological support where an individual is taught about the different forms of stress and anxiety that can happen due to the trauma caused by the critical event. The victims are taught with the help of an example that an abnormal behavior is just a normal response to an abnormal situation. After the teaching phase comes to the advice phase that is very important to be followed. It has been found that at extreme stressful situations people look for alcohol and drugs to get instant relief. To cope with stress, alcohol shouldn't be taken. Give time to yourself to recover from trauma. Eat well and do exercise. Don't set an unreal expectation from you. Expect the incident to bother you. Learn from what you are going through. Ask for help if you feel so. Re-entry: This is the last step of the process. In this step, the participant may ask a question or may make a final statement. The CISD team prepare the summary of all the thing that has been discussed in the CISD. Handouts may be distributed. You must be aware that ICISF offers a “Certificate of Specialized Training” in Critical Incident Stress Management (CISM), designed to document the completion of a standardized curriculum in crisis intervention. This program was developed in response to numerous requests from institutions (managed care organizations, EAPs, etc.) and individuals. Critical Incident Stress Management Group Crisis Intervention: A lot of readers have asked me time and again to recommend some book that can be of real help to them. Today I will talk about 101 Trauma-Informed Interventions. I will recommend this book to all the health professionals who are on the verge of starting their career. The best part about this workbook is the practical exposure to the trauma and critical incident. 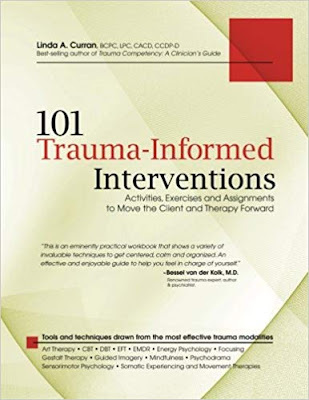 This book contains 100 approaches to effectively deal with trauma. As per the research, CISD has been under extreme scrutiny in the psychology literature. To my shock, several authors have conducted that CISD has no or negative effects on the victims of trauma. Research conducted on police officers also talks about the ineffectiveness of CISD. The research was conducted on the police officers who responded to a civilian plane crash. A few of them went debriefing and rest didn't. The outcome for the officers who went debriefing wasn't satisfactory. These officers exhibited significantly more disaster-related hyperarousal symptoms as compared to those who didn't go for CISD. The motive behind the development of CIS management tool was as simple as you can imagine. First and foremost, the tool was developed to help the individual who was exposed to a severe traumatic event like an attempt to suicide, a victim of earthquake, car accident etc. The process involves an intervention at the earliest by the professionals and peers trained professionally for this purpose. These professionals will follow a series of steps under the name "debriefing" that will include understanding the victims' experience by listening to their version of the critical incident, providing support, and strategy to cope with the trauma. I will recommend you to have a look at this CISD manual. It has been of a great help to one of my friend who was an ICU nurse. There is a long list of CISM jobs. The jobs are in high demand. If the concept of CISM appeals to you then you can take a call on getting trained in this domain and start working. The best thing about CISM jobs is the "giving back to society" nature of the job. While you are earning for yourself, you are also contributing to the society. Critical Incident Stress Management Services: Now we are gonna talk about some facts and figures. If I am NOT wrong then according to the Bureau of Labor Statistics, there are 1.5 million plus assaults in the workplace every year in the United States and more than thousand of them are fatal. Traumatic Incidents such as a natural disaster at the workplace, employee's family members sudden death, car accident etc can take a toll on employee's personal and professional life. Federal Occupational Health's (FOH) has a program that helps the working professionals to get back to the normal. Develop techniques and a plan for coping with stress. You can learn more about FOH here. Critical Incident Stress Management Training: UMBC training center is among the best for getting trained and certified. I will recommend you to go through some books and manuals before going for enrolling for a certification program. You can try the CISD manuals here. Before we conclude, I would love to share some of the handpicked articles from my blog which will definitely add value. Conclusion: This post is more kinda of Informative one. The post takes you through the important terms related to critical incident stress management. Kindly let us know in case we missed some important information by giving us feedback in the comment section. Also, let us know the next topic you want us to write a descriptive and informative article.